View of Mt. 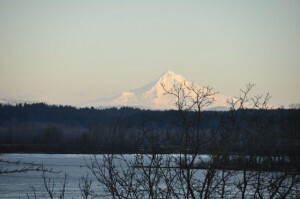 Hood from Columbia City, OregonA great place to get your feet wet on a hot sunny day! Columbia City is located just 32 miles from downtown Portland, Oregon, and is an amazingly quaint little town of about 1,700 people. Located on the banks of the Columbia River, many of the homes enjoy sweeping views of the water, Cascade Mountains and the valley across the shore. 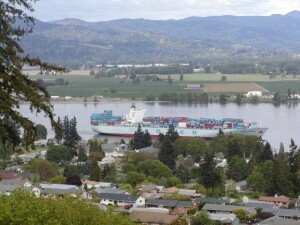 The large cargo ships gracefully drift up and down the river and often come surprisingly close to the banks, creating truly a sense of awe in local residents and visitors alike. The fishermen, pleasure boaters and sailboats add to the ever-changing view. The town itself is very personable and offers little commercial business. Both the local post office and city hall close for the lunch hour – another sign of the small town atmosphere. The walking path that wanders throughout the city is nice for dog-walkers, joggers and those out for an afternoon stroll. Much of Columbia City features large 10,000-square-foot lots, giving a feeling of plenty of elbow room and space to create roots. In December, we are fortunate to be able to enjoy the annual fleet of Christmas ships that sail out of Portland, and in the summer the Rose Festival Navy ships can be viewed from the shore. 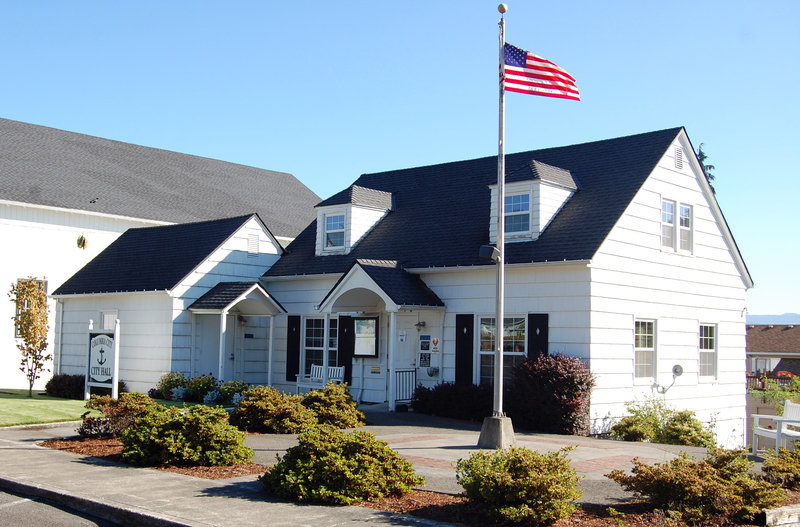 Columbia City truly is one of Columbia County’s best kept secrets – the perfect place to live if you’re looking for a small-town experience, yet still desire a quick commute to downtown Portland or the Oregon Coast. Visit the Columbia City website. 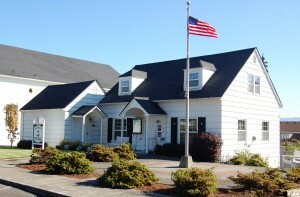 See what real estate is available in Columbia City, Oregon now! Stop in...everyone is so helpful at City Hall!